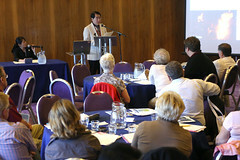 Well, 90 delegates from 12 different Newcastles – the most ever – had a great week in Newcastle upon Tyne. We committed to a stronger alliance of Newcastles, a virtual tourism “passport” (a mutually supportive tourism initiative) and to build upon the links now established between artists, business people, schools and youth councils. Subject to confirmation by their councils, we have invited Newcastle, Ontario, Canada to host our next gathering in 2014, then Nové Hrady, Czech Republic in 2016 and Shinshiro City in 2018, marking the 20th anniversary of the first summit which took place in that city. ← Biggest-ever gathering of “Newcastles”!